The reality for most trampers is that their trips usually have to fit into weekends. 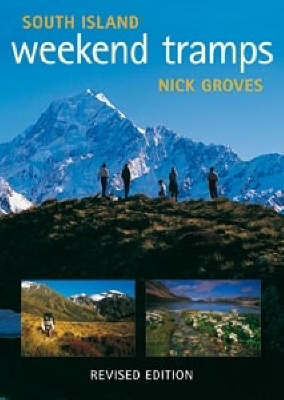 This revised and expanded edition of the bestselling South Island Weekend Tramps is a collection of the best of the South Island's two-and three-day tramping trips. Featuring 50 new maps in the popular Bird's Eye style, it includes: 50 tramps from around the South Island; 6 new tramps; Tramps ranging in difficulty, with something for every ability; Information on length, difficulty, time, huts, maps; Detailed description of the tramp and points of interest; Colour photographs throughout. The revisions, new tramps and userfriendly maps will ensure the latest edition of South Island Weekend Tramps continues to provide sound, up-to-date information for novices and experienced trampers alike.